Foster Home Applicants must be at least 21 years old. All fields must be filled in. Incomplete forms will not be processed. We process applications for potential foster homes residing within the following Illinois counties: Lake, Cook, Will, Kendall, DuPage, Kane and McHenry. Please note that Foster Home Applicants must be an active Foster Home for a minimum of 12 months and have an adoption application on file with Foster Home's preferences before adopting a Foster Dog from MLRR. This includes the Foster Dog that is currently with the Foster Home. If no, how will you contain the Foster Dog to your property? If yes, please list who you've fostered for. Yes, very. I've trained dogs using these methods. Yes, a little. I know about this, but have never really trained a dog. No. I need to learn about this. No. I prefer different training techniques. 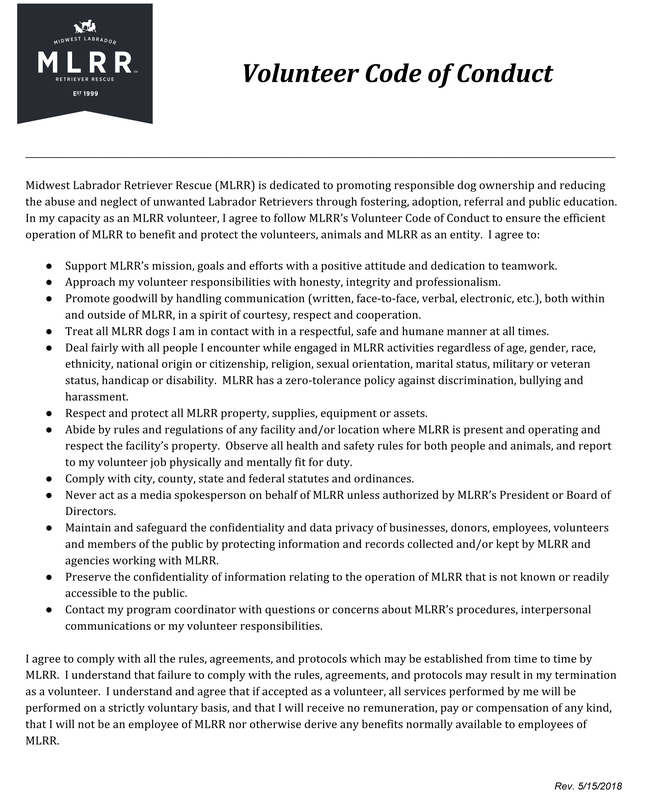 Midwest Labrador Retriever Rescue, Inc. reserves the right to refuse or deny any application. You should receive an email confirmation after you submit this application.